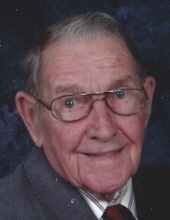 Robert T. “Bead” Divins, 88, Sandy Township, passed away Monday, March 25, 2019 at Christ the King Manor. He was born December 22, 1930, in DuBois, to the late Robert F. and Helen (Thompson) Divins. He married Glenda (Sones) Divins on September 16, 1950. She survives. They graduated together in 1949 from Sandy High School. Bead joined the U.S. Air Force for four years in 1950. After being discharged, he worked in the office at Triangle Auto Springs until he retired in 1993. He was a member of the Mt. Zion United Methodist Church and the Williamsport Consistory. Bead was a member of Garfield Lodge #559 and a lifetime member of the Sandy Hose Company. He was a Pittsburgh sports fan. Bead was preceded in death by his parents, his brother, Glenn Divins, an infant sister, Kaye, and an infant granddaughter, Traci Coccimiglio. Bead is survived by his children, Marla (Gary) Coccimiglio, Punxsutawney, Randy (Sherri) Divins, DuBois, and Robert G. (Kelly) Divins, DuBois; his sisters, Georgia (Charles) Becht, Milroy, Indiana, and Helen “Cindy” (Roger) Mann, Mount Calm, Texas; grandchildren, Staci, Cheri, Carli, Wendy, Eric, and Brad, and great-grandchildren, Parker, Elliott, Andrew, Isaac, Jordan, and Jaysa. Friends and family will be received Wednesday, March 27, 2019 from 2-4 and 6-8 p.m. and Thursday, March 28, 2019 from 10-11 a.m. at the Adamson Funeral Chapel, Inc. Following Thursday’s visitation, a funeral service will be held at 11 a.m. from the funeral chapel with Pastor Corben Russell officiating. Interment will be in Morningside Cemetery. Memorial donations may be made to Mt. Zion United Methodist Church, 16 Denton Ave., DuBois, PA 15801 or to Christ the King Manor, 1100 W. Long Ave., DuBois. To send flowers or a remembrance gift to the family of Robert T. Divins, please visit our Tribute Store. "Email Address" would like to share the life celebration of Robert T. Divins. Click on the "link" to go to share a favorite memory or leave a condolence message for the family.